Razer has, in recent years, achieved cult status with its gaming peripherals like keyboards and mice. Today, it announced yet another product that gamers, both professional and casual, would definitely be interested in. The Razer Sila is a WiFi router that has been designed for home users that require a WiFi service “optimised for high performance gaming, streaming and downloading multimedia content”. Promising to deliver “lag-free gaming and smooth, interruption-free streaming over a fast wireless network”, the Razer Sila will satisfy the gaming needs of those on laptop, console, and mobile. 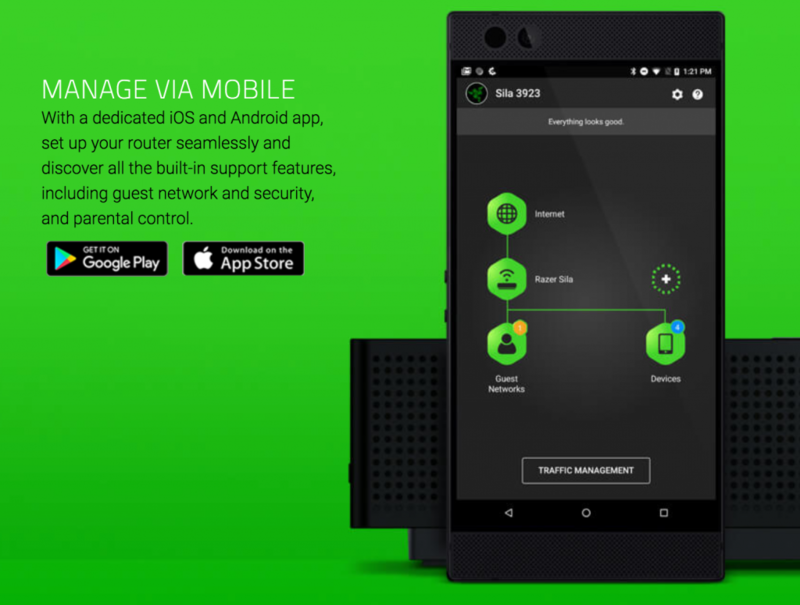 The Razer Sila features technologies like the Razer FasTrack software, Multi-Channel ZeroWait DFS and Mesh capability with a dedicated backhaul, and can be set up and managed through a mobile app. As a quick background, the Razer FasTrack allows users to prioritise traffic based on application and device types, and allows users to “easily fine tune their networks for the smoothest gaming or streaming experiences”. The FasTrack also features a one-touch gaming mode, which automatically reserves bandwidth for online gaming, while the Multi-Channel ZeroWait DFS technology helps users to switch to the best channels to “avoid network traffic and maintain the highest speeds for the most demanding applications [even during peak hours]”. Two or more Razer Sila units can be combined to provide WiFi coverage across areas up to 6,000 sq ft. For multi-storey locations over 6,000 sq ft, three units are required. 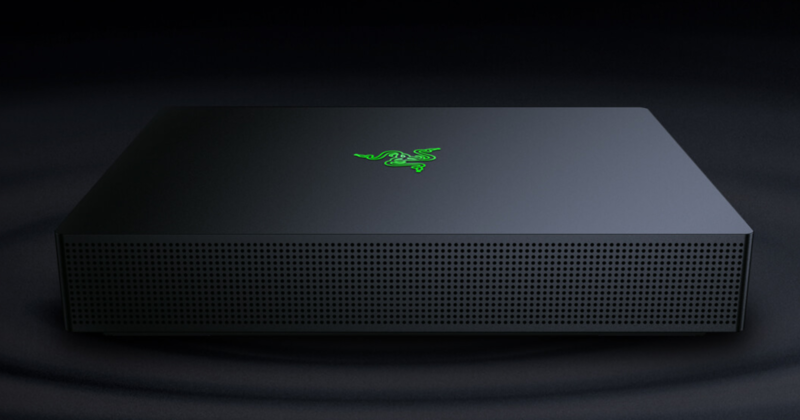 The Razer Sila also features a “dedicated 5 GHz backhaul and independent fronthaul links operating on up to 4 simultaneous DFS channels” to further reduce network congestion and interference. The Razer Sila was created in partnership with Ignition Design Labs, which was founded by alumni of Qualcomm and Broadcom. The recommended retail price of the Razer Sila is S$409.90, and will be available on Razer.com from 3 Oct 2018, and as part of the Singtel Broadband bundle from 4 Oct 2018.